Beware members of Congress in safe districts. More often than not, they end up wrapping themselves in the corrupting cloak of entitlement. My favorite, as you probably know, is Rep. Charles B. Rangel (D-N.Y.). If you didn't, just click here to get the quick debrief. 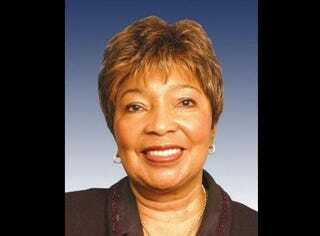 But the gold in gall might have to go to eight-term Rep. Eddie Bernice Johnson (D-Texas) — for now. According to The Dallas Morning News, which broke the story, between 2005 and 2009, Johnson awarded scholarships totaling $25,000 to two of her grandchildren, two of her great-nephews and the two children of a top aide. The money came from the Congressional Black Caucus Foundation, a nonprofit entity that operates separately from the Congressional Black Caucus but gives $10,000 a year to CBC members to hand out to eligible college applicants. And the rules are clear that said applicants cannot be related to or connected in any way to the foundation, its staff, sponsors or board of directors, or members of the CBC. "I recognized the names when I saw them. And I knew that they had a need just like any other kid that would apply for one." Had there been more "very worthy applicants in my district," she added, "then I probably wouldn't have given it" to the relatives.